After first releasing the Air Max Dia in super limited quantities late 2018, Nike are finally giving us round two (yaaaas). With a handful of colourways landing at JD, now’s your chance to pick up the gal-only silhouette! Worn by mega-babe Ella Eyre, don’t miss out on your chance to bag a pair. The Air Max Dia was designed by women, for women. 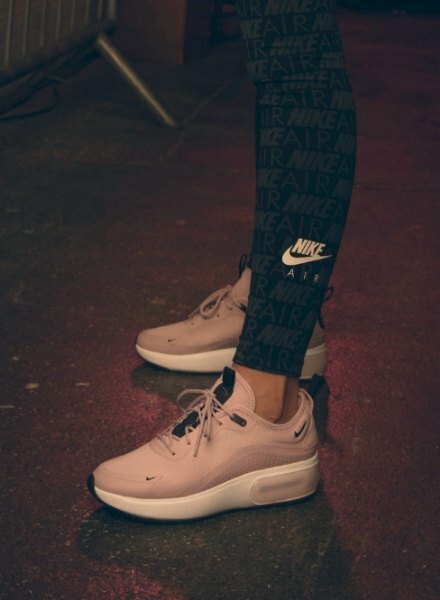 With a goal to bring elegance to Air, Nike had the ultimate gal squad working on the trainer, which included a designer, engineer, developer and product manager. 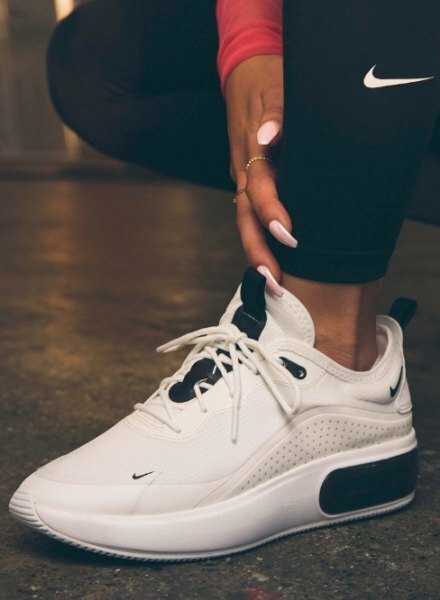 The Air Max Dia has a sleek and elegant aesthetic– meaning it can be worn with everything! They’re built with a translucent upper that’s similar to the Zoom Fly SP. You can put your own stamp on it with your sock choice! Minimal but modern. Sat on a stacked, exaggerated midsole to keep all eyes on the Air, the Dia has it all – cute AND comfy. They’re equipped with a visible Air unit in the heel for maximum cushioning, and sport mini Swoosh branding in true Nike style. In a nod to the collective that created the design, they’re finished up with four small dots to the heel, which represent each of the women that went into the making of them! Super versatile, the Air Max Dia is your go-to sneaker! Takin’ pop-prin Ella Eyre from the stage to the sofa, they’re guaranteed to go with any of your ‘fits. Pair them with a cosy tracksuit for laidback days, or lace them up for maximum comf’ when you’re hitting the dancefloor. There’s no one way to wear them, anything goes. Wanna steal Ella’s style? The Nike Air Max Dia is set to land at JD @8AM on 25/01/19. Shop them here.